Daniel is an icon in the Malaysian cycling scene. He has been involved in cycling in nearly every aspect. He started working in Bike Pro (a LBS) as a mechanic and sales. He also worked in other retail bike shops where, besides being an excellent mechanic, he was also promoted as a Technical and Retail Manager. 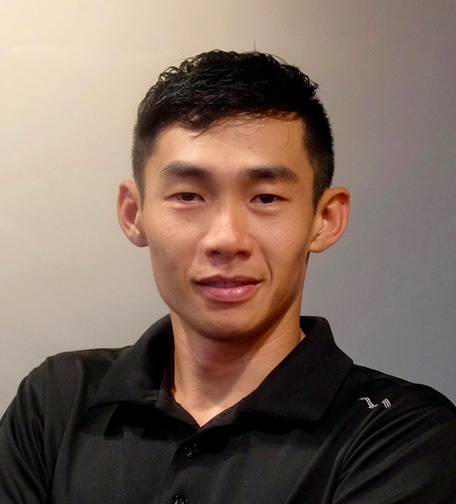 He is qualified Bike Fitter with certifications both in Retul and Body Geometry; holds certification in CPR and First Aid and recently has been also certified as a Coach for Junior Cycling Malaysia (Level 1). Daniel is coaching programs for both indoor bikes and outdoor cycling. Daniel is an accomplished athlete, both on tarmac and off road cycling. He has represented Pahang in SUKMA Games in both mountain bike and road races and the ex-UCI continental pro team, Le Tua in road races. He participates in Duathlons and Triathlons and was an Ironman in 2010. He also competes in local mountain bike races. He is an invaluable addition to team Cycology.